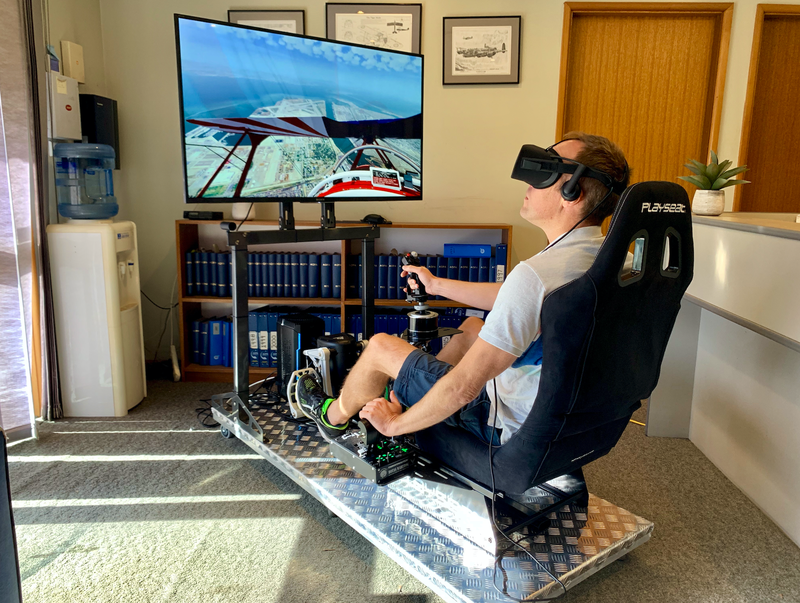 To help celebrate the launch of AOPA Australia’s new GA VR Flight Simulation System, we are giving one lucky aviator the opportunity to WIN their very own simulator package, valued at $9,995. 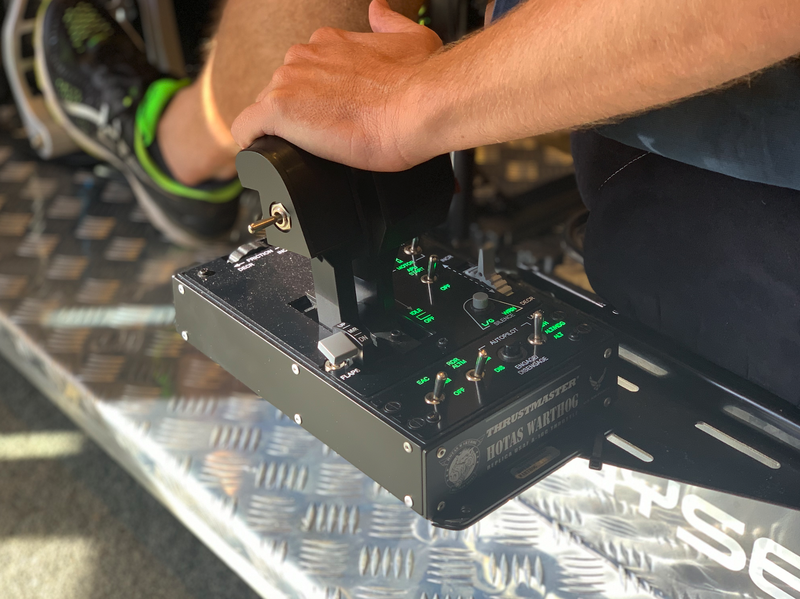 Everything you need is included; high-performance computer hardware, military grade flight controls system (both Joystick & Yoke), VR headset, Custom Adjustable Pilot Seat, Custom Simulator Platform and Framework, 55-inch 4K Spectator Monitor and including an impressive array of simulator software and aircraft types. This is the ultimate VR system! 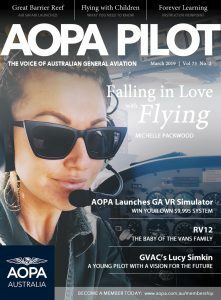 AOPA Australia GA VR Flight Simulator Raffle Tickets are purchased online using the form above. 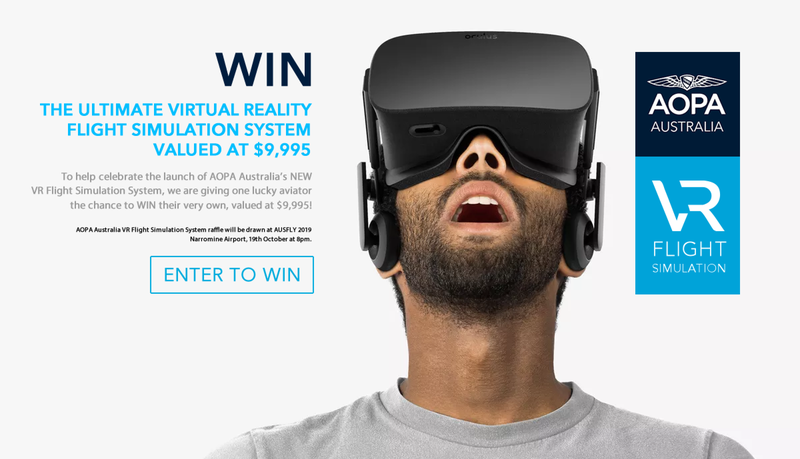 The winning ticket will be drawn from the AOPA Australia GA VR Flight Simulator Raffle Barrel by a nominated independent representative. The winner will be notified by telephone, SMS text message and email at the time of the draw. 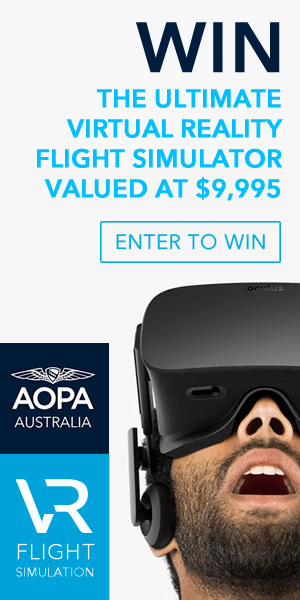 The prize is an AOPA Australia GA VR Flight Simulation System, valued at $9,995 AUD. 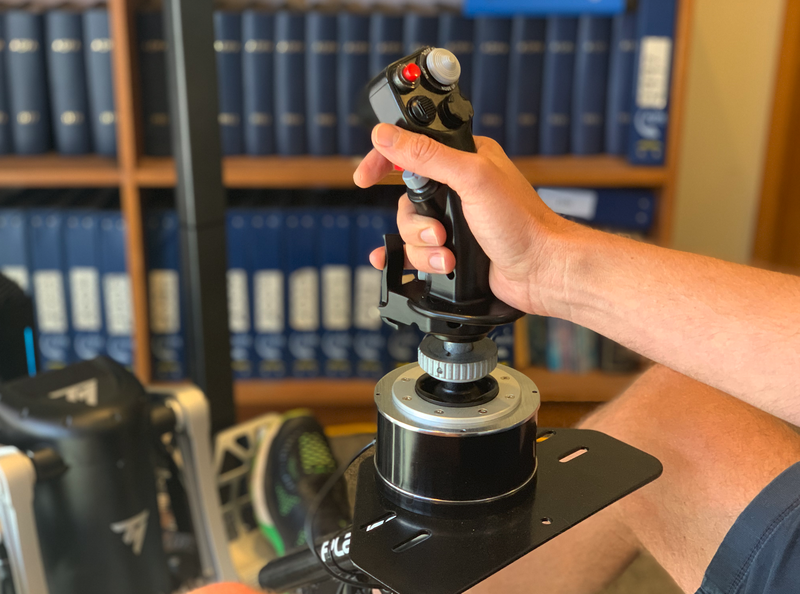 Each numbered entry ticket will be placed into the AOPA Australia GA VR Raffle Barrel which will be on display at all events AOPA Australia attends, and during the AUSFLY ‘all aviators under one sky’ Fly-in Narromine Airport, 17th to 19th October 2019. 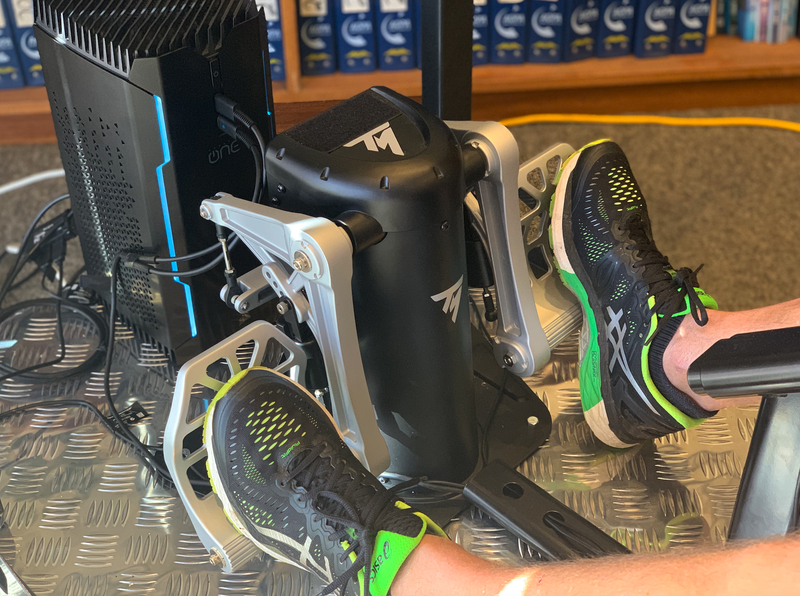 The winner will be drawn at 8pm, Saturday 19th October at the AUSFLY 2019 Gala Dinner. 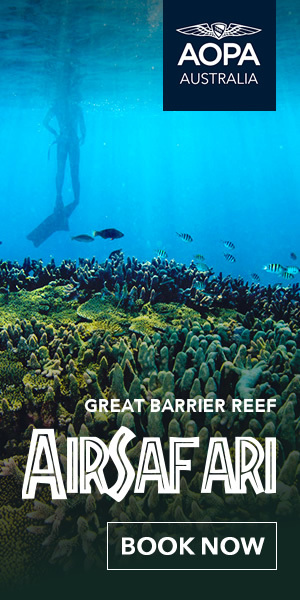 Employees of AOPA Australia are not permitted to enter. 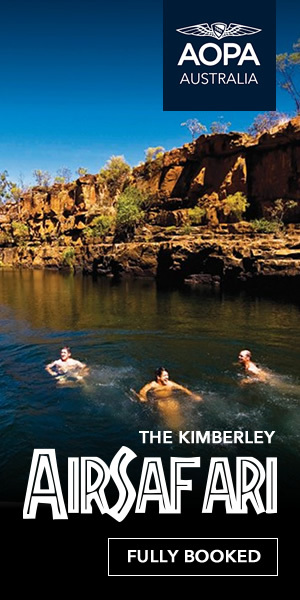 The winner will be notified by SMS Text Message, telephone and email at the time of the draw. 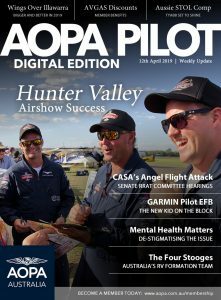 The winner is responsible for collecting the prize and all costs associated with the collection from the AOPA Australia head office at Bankstown Airport.